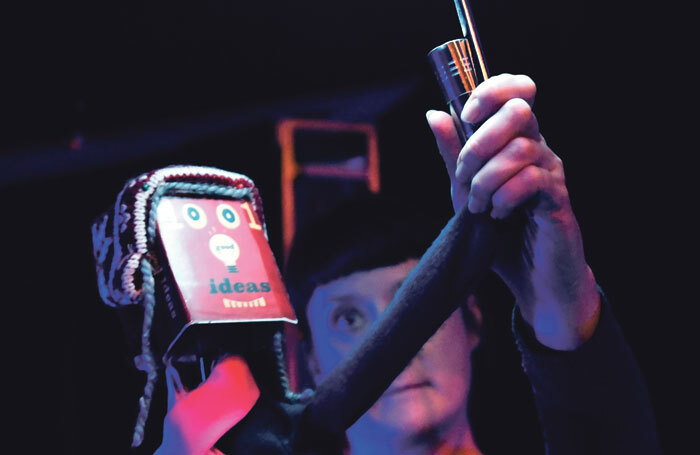 Puppeteers are often visible on stage, but we don’t want to focus on them. As actors, we know how to be present, engaging and exciting to watch. As puppeteers, we need to give this energy to the puppet – the puppet who should be more present, engaging and exciting than the performer. Try not to be too animated in your own body and face. The puppet must have the focus. People and animals are never still for more than a few seconds, so constant movement keeps a puppet alive. Great puppeteers give puppets amazing emotional range while staying neutral themselves. It’s always important to warm up before a performance of any kind. Playing different characters, possibly several in the same show, we use our voices in unusual ways, so warming up and down afterwards is key. A physical warm-up is also very important, as it is often the case that you may have to hold the same position for a long time. After a while this can hurt. Try putting your hand right up in the air, after a few minutes you’ll really feel it. A puppet is often manipulated by more than one person at a time. As a result, puppeteers can end up in awkward positions. There can be a strange weaving together of performers to make the magic happen, so our bodies need to be supple and strong (and smell nice).